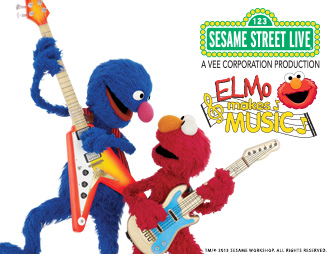 Harlem Lovebirds: NYC Flash Giveaway Alert: See Sesame Street Live for FREE This Weekend! NYC Flash Giveaway Alert: See Sesame Street Live for FREE This Weekend! Disclosure: I'm a compensated member of the GoGo squeeZ squeeZ Squad; all opinions expressed are my own. I took my daughter to her first Sesame Street Live when she was almost 2 years old (you can see her experience including her major side eye here), and I have fond memories going as a kid with my cousin! To win it's super simple: just use the Rafflecopter form below. Giveaway ends tonight at midnight with the winner announced tomorrow morning - good luck! Now back to Toy Fair . . .